I do wrap quite often. I try different stuffing with it. I have posted quite few wraps in my space. Other day I saw curry flavoured wrap in the market and somehow I had an idea of a Potato based wrap from the time I bought it. I wanted to do some wrap for my weekend brunch. 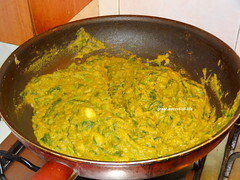 So I wanted to make it more balanced so I added spinach also. 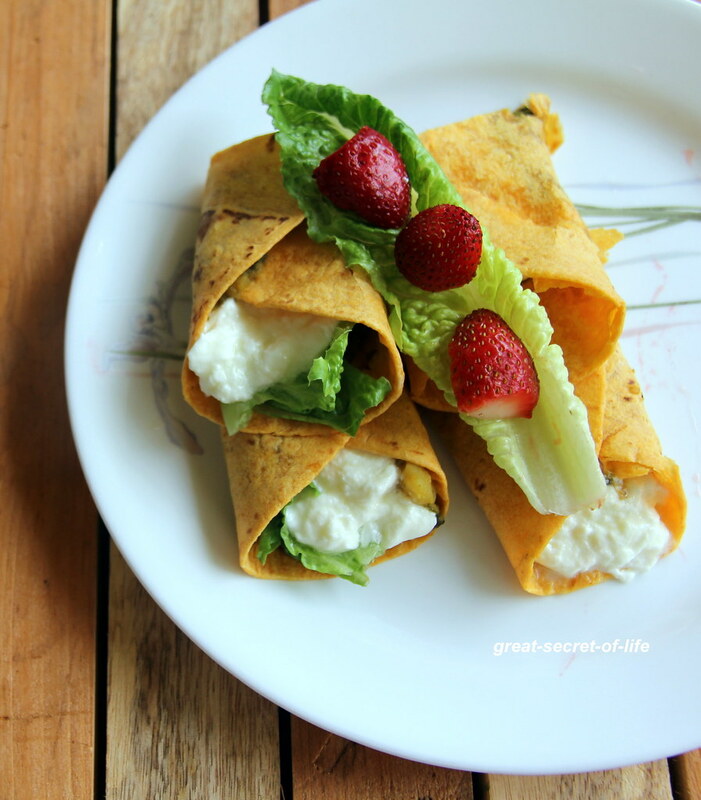 This wrap is a good option for kids lunch box / after school snack. 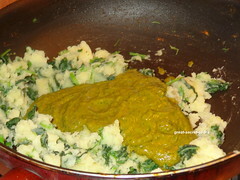 You can use this to make Chapati roll also. Heat the pan. 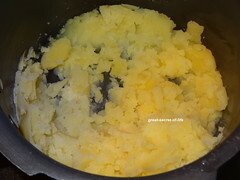 Add oil and add garlic and ginger. Fry till slight brown. 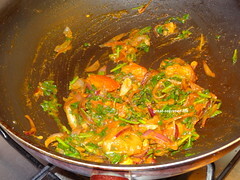 Add sliced onion and fry till transparent. 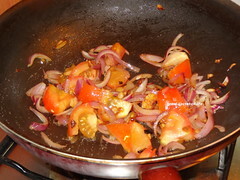 Add tomatoes fry till mushy. 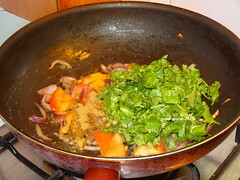 Add turmeric, Chilli and subji powder. 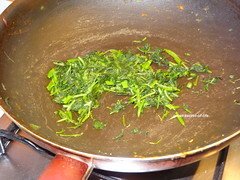 Add coriander leaves. 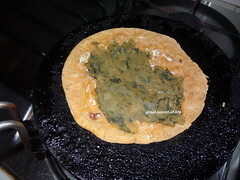 Fry till raw smell released. Switch off the flame. 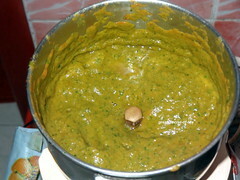 When it is cool down grind to smooth paste with 1/4 cup of water. 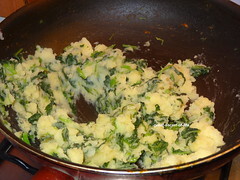 In the same pan add spinach and bit of salt. 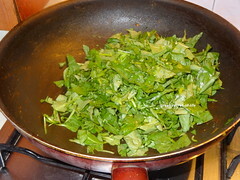 Cook the spinach. 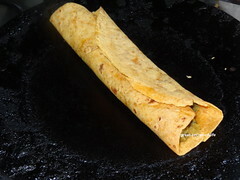 Now toast the wrap / chapati. Spread the sauce/ mayonnaise. 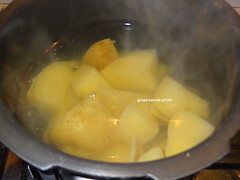 Place the potato masala / mixture. Roll it. If you are using yogurt add it when you are about to eat. To eat later don't use yogurt. 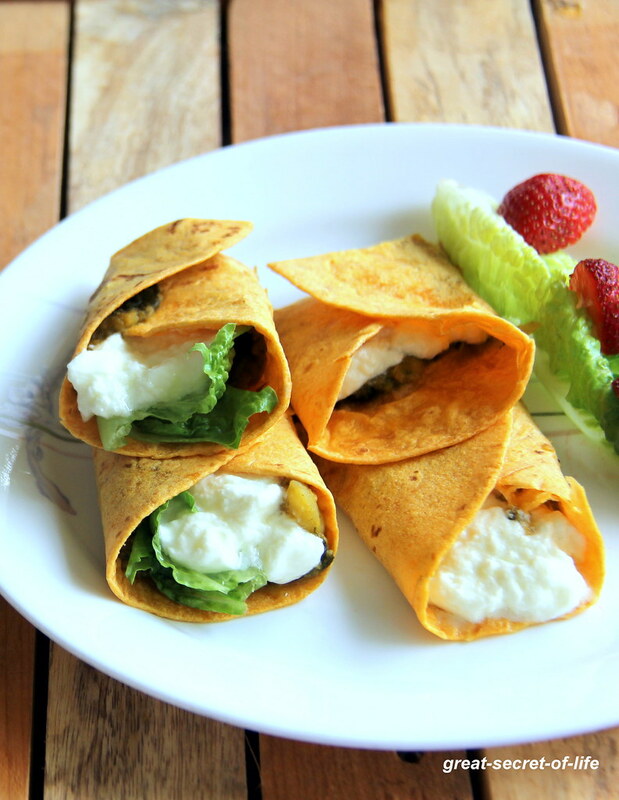 Healthy and delicious wraps, potato and spinach filling looks superb.. 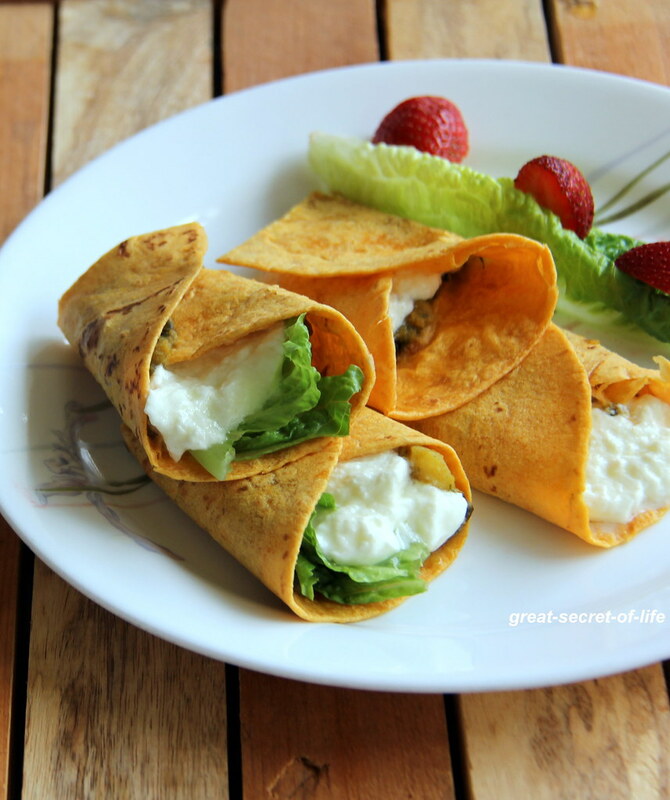 Healthy wraps.. love the delicious filling..